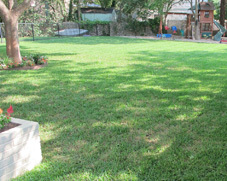 We guarantee our lawn services will satisfy all of your needs. We manicure your lawn to the highest standards, fertilize your turf to keep it looking dense, uniform and healthy, remove weeds to protect your plants and much more. Our lawn services include string trimming for your lawn, bed areas, sidewalks and curbs. And when the job is done, we’ll clean up excessive grass clippings to leave your lawn looking crisp, clean and lush. 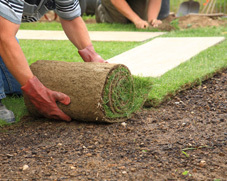 Schedule a free consultation today and start unveiling your lawn’s true potential. *Service costs depend on project size and services rendered. Additional services are available upon request. Call for details.